After my physical experiment with the case of floss, I started questioning the development of a bookcase in a circular form. 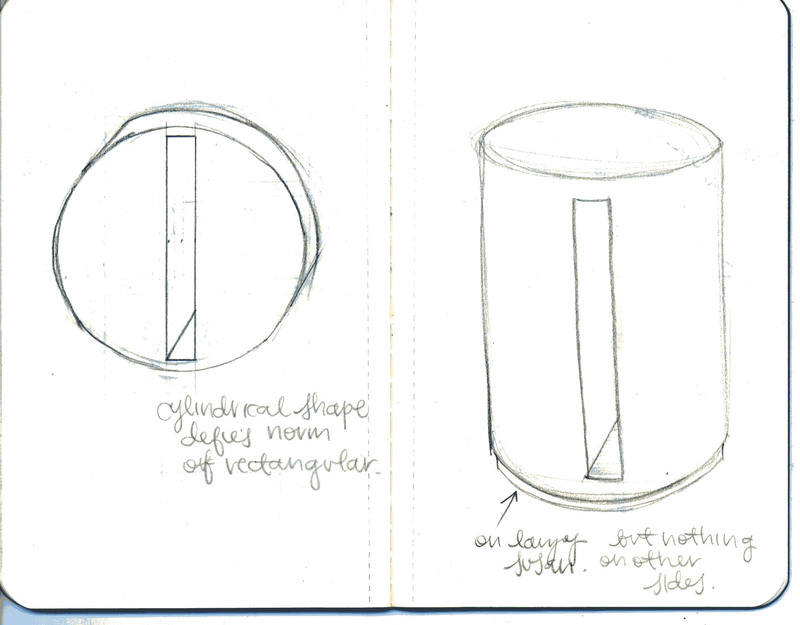 It was so interesting that the standard bookcase is produced in varieties of rectangular shapes, that I wanted to defy that and design them as cylindrical shapes. I wanted to keep the idea of placing the electronic tablet on a pedestal, so the single slot still remains. The design on the left rotates on a horizontal axis, leaving room for more dynamic movement; the one on the right does so on a vertical axis. These designs, again, place a spotlight over the prominence of electronics and technology in our lives as if to mock any traditional methods evidenced in our lifestyles. The title of this post also refers to the old proverb, that speaks of those who are constantly on the move, refueling their deposits of creativity and knowledge of culture. Though it is important to do just that, like the Neoclassicists of the mid-1700s in Europe, I believe that the nurturing of classical ideologies and customs is vital for civilization. In the same way, the tangible forms of books are incredibly crucial to the advancement of society. Succumbing to a life that revolves solely around technology parallels to abandoning the very inception of civilization.